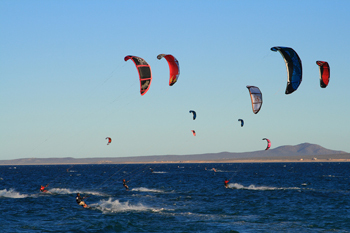 Less than an hours drive south of La Paz lies the Bay of Ventana which is one of the best locations in the world for windsurfing and kiteboarding. 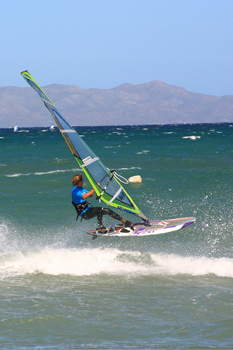 The best time of year for both of these sports begins in November and ends sometime in March when the strong northeasterly winds slowly die out. 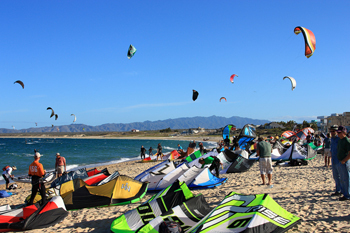 During the peak season there are kite boarding expos and several major events such as the La Ventana Classic which is an international competitive event for windsurfers and kiteboarders. 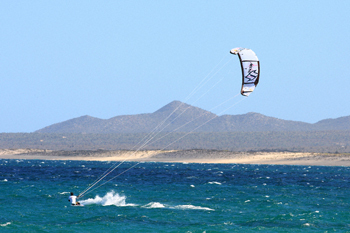 Other popular activites in the La Ventana area include snorkeling, camping, swimming and fishing for marlin. 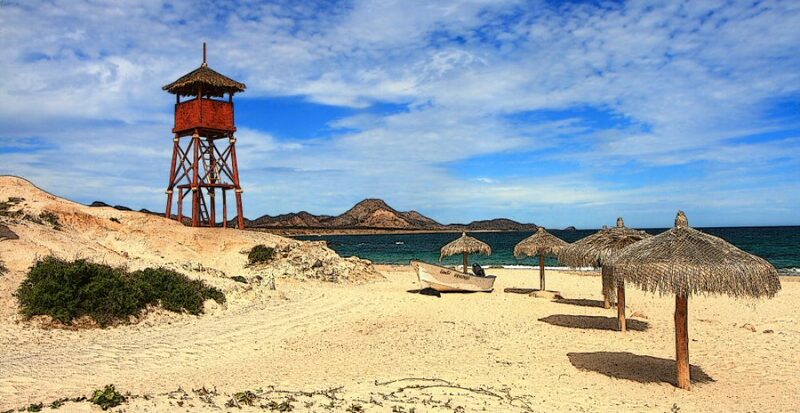 There are campsites for both tents or motorhomes all along the shoreline; some offer showers, toilets and trash barrels while others are more primitive.